There are some players out there that refuse to play a video blackjack game. Some feel that they know they are getting a fair game if they play with cards. The video blackjack games available in Nevada are the same machines that can be found across the world. These video blackjack machines are legitimate in their deal. In some cases it is better to play on these video blackjack games as opposed to the live tables. There are several reasons for this. 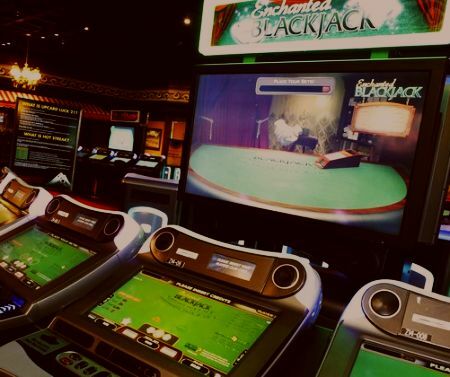 Video blackjacks machines will often have a lower minimum bet than the table games. Some video blackjack games will have a minimum bet of as little as $1. At higher end casinos, the minimum bet may be as high as $5. Whatever the minimum bet is it is going to be lower than the minimum bet at the table games. In many instances, the video blackjack game will have better rules than any live blackjack game that can be found in the same casino. There is a video blackjack game that has shown up in Las Vegas that stays on all 17’s, offers surrender, double after the split and split up to 3 hands. These are better rules than any table game offered in several casinos. In fact, it is rare to find tables that stay on all 17’s anymore. When the dealer stays on all 17’s it decreases the house advantage by .22%. Comps are the free perks casinos give to their high rollers. If you only plan on playing a few dollars a hand then there is no reason to play the live blackjack tables. Some casinos will not rate you if you play under $25. Those that will rate you will give you very little in the way of comps. On the other hand, if you play on a video blackjack machine, you will get rated for every bet regardless of how small it is. You will typically be graded as a higher player when you play video blackjack than if you play the live tables if you are not going to average a $25 bet. There will also be some promotions that only apply to slot machines. Typically video blackjack machines will count as a slot machine. If a casino has a slot points race, has a point multiplier day, or gives you free slot play, the video blackjack machines will usually qualify for these promotions. It is very easy to earn points on these machines. Cashback can also be earned on video blackjack machines where table games usually do not give players cash back. I am certainly not knocking dealers. They have a tough job and I respect them. From a player’s point of view though, I would rather play the video blackjack games. This is because there are no mistakes in dealing on these machines. You never have to worry about the hand being declared a misdeal or not getting paid correctly. Some dealers also hate their jobs and it is obvious. They can bring the whole aura of the environment down. You also do not have to worry about tipping the blackjack machine. Video blackjack games are also faster than most dealers can deal, especially if the dealers have to hand shuffle. While I prefer video blackjack, there are certainly advantages to playing live. If you would like good drink service, you will get served more drinks in the table games pit than you will in the slot area where video blackjack games usually are located. If you are going to average $25 or more a bet then you will get noticed in the pit and you are likely to get better comps. If you are going to count cards it will be much easier to do so at the table games. It is impossible to count cards on some blackjack machines. 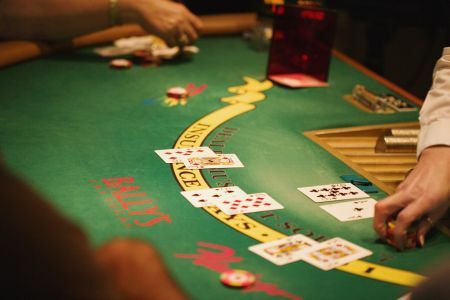 A full table game of blackjack will likely be faster than a video blackjack game because novice players are more likely to be on the machines. If a player is being slow at a table the dealer will remind them that it is their turn, where on a video blackjack machine it may not. If smoke bothers you then table games might be best for you too. Casinos will often make a table smoke free upon request. That cannot be done in the slot area. Table blackjack games also tend to be more social than video blackjack machines. The machines that can be played advantageously are multi-seat machines where blackjack pays 3 to 2. Some video poker machines such as Game Kings and Game Makers have a heads up blackjack game on them. These are terrible blackjack games. These games typically pay even money on blackjack. They typically do not allow doubling after the split either. Some of these machines do not allow doubling at all. It is best to avoid these games. Some multi-seat games are single deck games that pay 6 to 5 on blackjack. Avoid these single deck machines as well. There are advantages to playing both live and video blackjack. 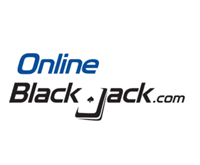 Each player has their own goal as to what they would like to get out of a blackjack game. While I lean towards video blackjack, some players still cannot get used to the idea of playing a table game on a machine. Blackjack can be fun whether it is a video blackjack game or a live blackjack game; it is up to the player to decide which they enjoy more.